Do you suffer from regular back pain, even after trying medicines and physical therapy? Are you trying to avoid back surgery? If so, you may want to consider purchasing an inversion table. Both athletes and average consumers use inversion tables to help relieve their back pain. The point behind these unique pieces of equipment is to fight against the effects of gravity. You strap yourself to the table and then hang upside down to allow gravity to decompress your spine and provide pain relief. With an inversion table, you can get a lot more than just pain relief. Many people use inversion therapy to help stretch muscles and improve circulation. Our team has researched a variety of inversion tables, reviewing them based on user experience and key features. Make sure you read through our associated buying guide to learn about these key features to help you make a more informed decision. Read more about our methodology. 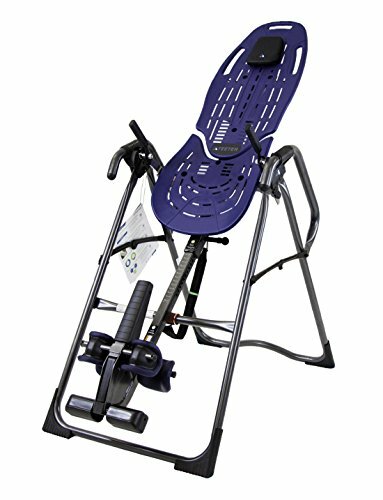 The Teeter EP-960 is a unique and reliable inversion table that will help you feel relief from your back problems in no time. Featuring a super-simple assembly process and a comfortable design, it's easy to see why the Teeter EP-960 is our Top Pick for inversion tables. The Ironman IFT 4000 is a unique inversion table that not only relieves back pain through traditional inversion methods, it also provides relief in the form of infrared heat therapy. 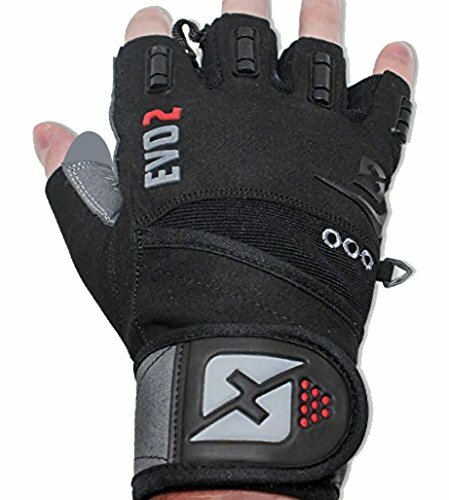 This model is super comfortable and reliable, making it a great choice for both beginners and pros. You can also find added convenience in the table's extra-long support handles. The Innova ITX9600 is an inversion table that delivers high quality at a low budget, which is why it's ReviewLab's Best on a Budget Pick. With more inversion angles, a steel frame and comfortable head and backrests, this inversion table is sure to wow you without breaking the bank. If you're in the market for an affordable inversion table without losing all the bells and whistles, the Innova ITX9600 is the table for you. The Gracelove Deluxe inversion table is a budget option that can help you alleviate some of your back pain and tension through inversion therapy. This inversion table is sturdy with its heavy-duty steel frame and comfortable with its completely removable nylon backrest. If you're in the market for a reliable, budget-conscious inversion table, look no further than the Gracelove Deluxe. The Ironman Gravity 4000 is a reliable and sturdy inversion table that uses comfortable and convenient features to provide relief from the pain you might experience in your back. With a memory-foam backrest and included lumbar support pillow, you can be sure to have an incredibly comfortable experience during use. This model also features a unique ratcheting system for the ankle braces which is easy to access and manipulate. The Innova ITX9700 helps you alleviate your back pains and aches with ease and a variety of helpful and unique features. Featuring a super-comfortable memory foam backrest and a lumbar pad for use with hot and cold compresses, this inversion table is uniquely focused on providing extra comfort. It's also safer with a pin locking system that allows you to place the table in a variety of different positions for greater versatility. The Teeter EP-50 is an incredibly reliable and high-quality inversion table that provides a variety of advanced features. These features make this inversion table one that you can trust in to provide better back pain relief. 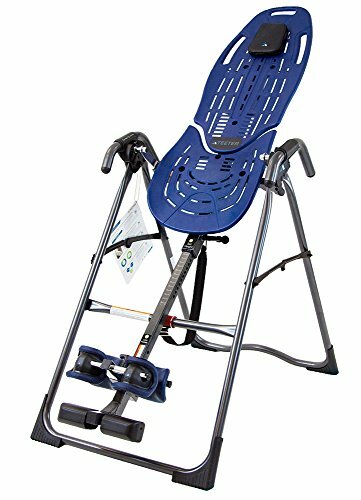 This inversion table is certified by a variety of third-party organizations and offers an extra durability in the high-quality build it features. The Ironman iControl 400 is an inversion table that offers quality, comfort and function, all in a single package. With a unique, disc locking system that locks the table in any inverted position you want, which is more flexible than many of the other inversion tables on the market. It also provides extra options like a stretching bar and extra-comfortable backrest. One of the most important things you should consider when purchasing an inversion able is how well it is built. Since you’re relying on the table to support your full weight for extended periods of time you want to make the table you buy is sturdy and durable. The best inversion tables are built with the best materials. Another important facet to this consideration is your weight. Make sure the table you purchase supports is qualified to support your weight. Most inversion tables support weight up to 300 pounds. Hanging upside down for longer periods of time normally doesn’t sound incredibly comfortable. However, the best inversion tables are made with comfort in mind. From the table itself to the securing mechanisms for your feet, legs or ankles, each part of the table that your body touches should provide some comfort. If the inversion table you purchase is uncomfortable, you’ll only cause yourself more pain over time, without experiencing any of the relief. Safety and build quality are both equally as important. Falling off an inversion table during use typically means you’re falling directly on your head, which can cause a lot more problems. Safety often relies on the build quality. The securing mechanisms for your legs, feet or ankles should be of high quality and the frame shouldn’t wobble at all. Your weight should also be safely supported, based on the manufacturer’s recommendations. 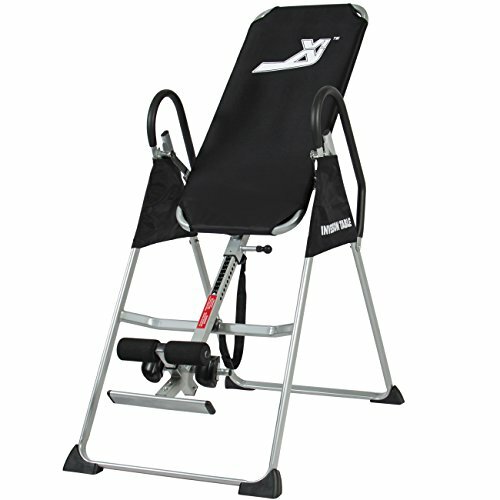 Ultimately, you should feel comfortable using the inversion table you purchase. If you have any concerns about the product you’re considering, it’s better to be safe than sorry. Many inversion tables offer a variety of add-ons that are either includes or available for an additional price. These add-ons can be additional back support attachments, extra comfort features or premium features like infrared technology. It can be hard to find an inversion table that offers all or even more than one of these add-ons, so take some time to identify what add-on features you would find helpful and base your decision partially on the availability of your preferred add-on feature. For under $100, you can buy a budget inversion table. These inversion tables are perfect for inversion therapy beginners. They typically don’t offer a ton of bells and whistles, and they’re not as durable as more expensive models, but they still make for reliable options. In the $100-300 range, you can get an inversion table that fits most people’s needs. These tables are typically sturdier, safer and more comfortable, with the possibility of adding premium add-ons. For more than $300, you can buy a premium inversion table. These models offer extra safety and comfort features, along with more add-on availability. The Teeter EP-960 is an inversion table that offers a good variety of features for both advanced and beginning users alike. Being one of the only inversion tables certified by a variety of government and private entities for safety and quality, you can be sure you’re getting a good product when you buy the Teeter EP-960. It’s also comfortable and incredibly easy to set up out of box. These features and qualities are why this inversion table makes it ReviewLab’s Top Pick. Professionally certified. The Teeter EP-960 is one of the only inversion tables on the market to feature full safety certification from major health and safety organizations. This inversion table is: FDA cleared as a Class 1 medical device, Health Canada Approved and UL (Underwriter Laboratories) Certified. These certifications lend a greater level of trust in the safety and overall quality of the table during use. Super comfortable. Many users report this inversion table as one of the more comfortable models they’ve used. According to these users, the ankle braces that hold you in place are comfortable and fit well around your ankles. The table also features a unique, contoured design that more comfortably cradles your body during use. Easily folds flat. Inversion tables can be large and take up a lot of room, and the Teeter EP-960 is no exception. However, this model can be folded for storage, which is a feature that many users who purchased the table really appreciate overall. When folded, you can easily store this inversion table when you’re not using it. Super easy to assemble. Many users also report that this unit was super easy to assemble out of the box. Featuring five simple assembly steps, you’ll be able to start using the Teeter EP-960 almost instantaneously after receiving it at your home. The assembly doesn’t require any tools; you simply snap the main components together. This saves you time, and if you get stuck, you can even download a companion app for helpful 3D assembly demonstrations. Heavier than most. The Teeter EP-960 is a heavy inversion table, weighing in at around 74 pounds, which might make it harder for you to move around, if needed. The Ironman IFT 4000 is an inversion table that provides both comfort and an extra form of relief in the form of infrared heat technology. 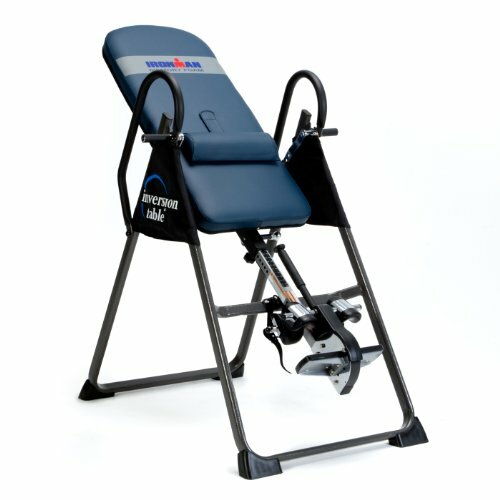 This inversion table is a great choice for anyone looking to add a bit more comfort to their inversion table therapy. It also includes useful features like extra-long handles and a higher weight capacity than most other inversion tables on the market today. These features and more are why the Ironman IFT 4000 is our runner-up Top Pick. Backrest features infrared therapy. The Ironman IFT 4000 offers the standard inversion table features in the form of a variety of different at which you can lay. However, this model provides a truly unique feature in the form of a backrest that provides Far Infrared Ray (FIR) therapy. This is a form of heat therapy that can work more to provide relief for your back problems. Many users love this added feature. Super comfortable. The infrared backrest is not only extra functional, it’s also extra comfortable. This inversion table features a backrest that is covered with 2.5-inch padding for added comfort. Users who buy this unit are surprised at how comfortable this padding is. Extra-long handles. When inverted, it can be hard to pull yourself upright again, especially if the table doesn’t offer any convenient handles for support. The Ironman IFT 4000 provides extra-long handles for you to be able to easier pull yourself back upright again. 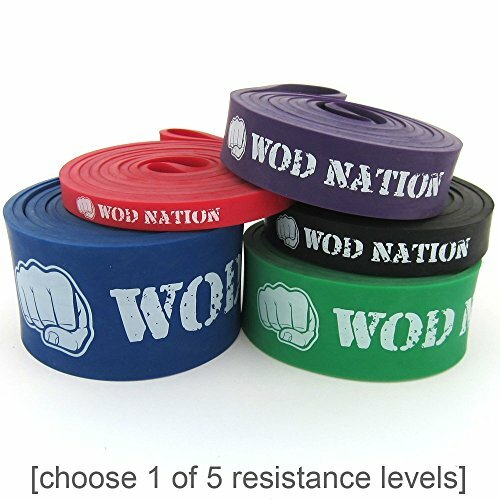 Supports more weight. Many inversion tables cap their weight capacity out at 275 or 300 pounds, while the Ironman IFT 4000 boasts an impressive 350-pound weight capacity. This makes the inversion table more versatile for a wider range of demographics, which many diverse users with different body types appreciate. Difficult to assemble. Many users report that this inversion table is increasingly difficult to assemble. It also requires the removal of screws to be able to fold and store it. The Innova ITX9600 is a sturdy inversion table that you can buy on a budget. This inversion table features a wide variety of inversion angles, along with a super comfortable design. It’s also incredibly sturdy and durable, making it a great choice for someone who wants to use it often or for longer periods of time. You can also easily fold and store this table when it’s not in use. If you’re on a budget, don’t forget to check out the Innova ITX9600. Five different inversion angles. The Innova ITX9600 inversion table features five different inversion angles at which you can use to lay inverted. This also helps you find an angle that you like the best and can achieve that same level of relief upon return uses. Many users are pleased with the simplicity of changing between angles using the pin slot system featured on this unit. Super comfortable back and headrests. Both the backrest and headrest are super comfortable during use, according to many of the users who left reviews about this product. The headrest is also completely adjustable, meaning you can customize exactly how you want to use this inversion table. Heavy duty construction. Featuring a heavy-duty steel frame and a weight capacity of up to 300 pounds, you can easily rely on the overall durability of the Innova ITX9600. A heavy-duty build like this can lead to a much longer lifespan for this inversion table, meaning you won’t have to drop more money early to buy a new inversion table because of faulty parts or short lifespans. Foldable and portable. The Innova ITX9600 can fold up when you’re not using it for easier storage. This also makes the inversion table easy to transport, if you’re up to carrying around the 50-pound weight. Many users are happy with how flat the unit folded up. While it doesn’t fold up completely flat, it’s still enough to give you more wiggle room around your living area. Difficult assembly. Many users report that the assembly for this inversion took a long time and was difficult overall. Some users report that it even took them upwards of two hours to complete the assembly process. The Gracelove Deluxe inversion table is a budget-friendly model that provides back pain relief through convenience, comfort and stability. This inversion table features a comfortable backrest made from nylon, which is completely removable for washing purposes. It also provides a sturdy design that you can rely on. These features and many others make the Gracelove Deluxe inversion table a great choice for anyone who doesn’t want to break the bank. Super easy to clean. The Gracelove Deluxe inversion able features a backrest made of nylon material stretched over the frame. This nylon backrest can be completely removed and washed. 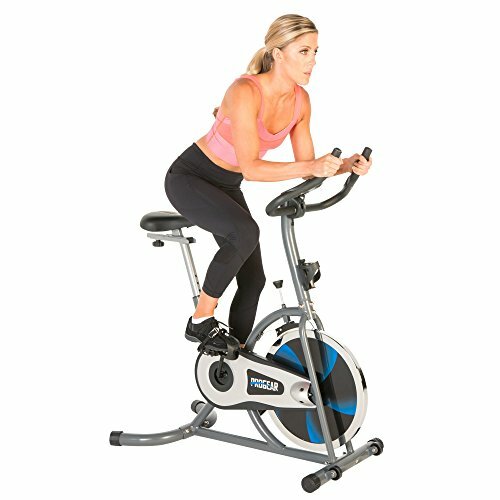 Many users are happy with this feature, especially when they use the table as part of a work out, when it typically gets dirty faster. Durable construction. Made from a heavy-duty steel frame, this inversion table is durable and sturdy. This not only adds to the overall lifespan of the unit, but it also means you will experience a more stable experience while you’re using the table. Many users are pleased with how well their models have held up through continued use. Easy to fold up and store. Since the backrest is made from nylon, the Gracelove Deluxe inversion table is easy to fold up and store, especially when compared to other inversion tables on the market. At only 20 inches deep, the folded table can be easily stored around your house, making this table even more convenient. Foot and ankle rests are lacking. Many users complain that the foot and ankle rests on the Gracelove Deluxe inversion table are uncomfortable, even after “breaking in” the table. Inversion tables for under $200 typically offer features that meet the needs of most consumers looking for a solution to their back pain. With durable and stable frames, along with easy-to-use inversion mechanisms, these inversion tables make great choices for beginners and advanced users alike. The Ironman Gravity 4000 is a large inversion table that supports higher weights with a sturdy frame and added convenience features. 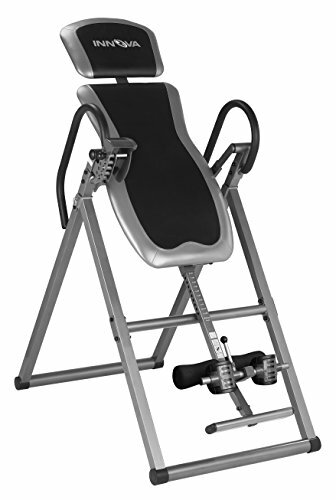 With a unique ratcheting system for adjusting the tightness of the ankle braces on the unit and an extra-comfortable backrest, this inversion table is a great choice for anyone looking for a reliable product. With this Ironman inversion table also includes a lumbar pillow and extra-long handles for easier usage. Unique ratcheting locking system. The Ironman Gravity 4000 features a unique ratcheting locking system for the ankle braces. 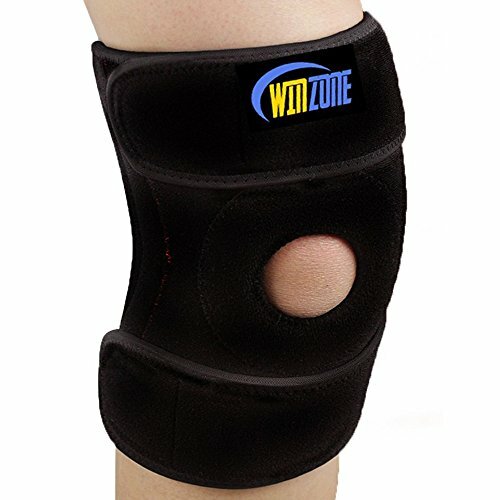 This unique feature allows you to easily adjust the ankle braces so they fit comfortably around your feet, without bending and contorting in order to do so. Many users find this ratcheting system incredibly helpful, especially when they suffer from back pain and discomfort. High weight capacity. This inversion table is capable of carrying weight up to 350 pounds, which is a higher weight capacity than what many other inversion tables offer. A higher weight capacity gives you greater versatility in the table’s use, especially if you have others who want to use it. Included lumbar pillow. The Ironman Gravity 4000’s extended backrest features an extra-comfortable memory foam padding, along with an included lumbar support pillow. Many users are extra pleased with how comfortable the lumbar pillow and memory foam are. Extra-long handles. To pull yourself up, the Ironman Gravity 4000 provides extra-long handles that are more easily accessible. Many users report that the foam-covered handles are easy to grip and use when needing to return to the upright position. Heavy and large. This inversion table is heavier and larger than many inversion tables on the market, making it harder to fold up, store and transport. 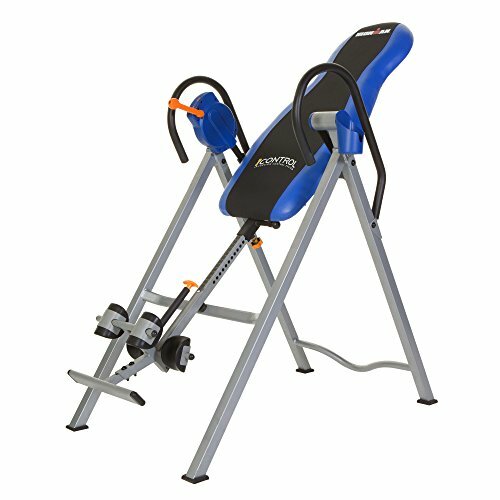 The Innova ITX9700 is an extra-comfortable inversion table that features a unique lumbar pad that you can use for hot or cold compresses to further alleviate your back pain. This unit also features a pin locking system that is safer than the more traditional method of using straps to lock the table in place. These features are all offered at a price under $200, making this an affordable and reliable inversion table. Extra comfortable. Many users rave about the comfort they experienced while using the Innova ITX9700 inversion table. The backrest is made from extra-comfortable memory foam. This inversion table also includes a memory foam headrest that you can remove and replace as you will. This added comfort allows you to use the inversion table for extended periods of time. Included lumbar pad for hot and cold compresses. This inversion table includes a handy lumbar pad which you can use with a hot or cold compress for added comfort and relief. This is a unique feature that many users really enjoy, especially since it only serves to provide more alleviation for the back pain they feel. Pin system for inverting positions. Instead of straps, which are flimsy and not as safe, to keep the table in its inverted position, the Innova ITX9700 features a durable and reliable locking pin system. Many users find this feature helpful and incredibly easy to use. This pin system locks the table in place, relying on metal over flimsy straps to keep the table in place. Easy assembly. Many users report that it was incredibly easy to assemble this inversion table. Some state that it only took them around 20-30 minutes to assemble the unit. This assembly time is short compared to assembly times for many of the other inversion tables on the market. Uncomfortable ankle braces. While the backrest and headrest of the Innova ITX9700 are extra comfortable, many users report that the ankle braces aren’t. Inversion tables for under $300 are units that offer the standard features anyone should expect from a good inversion table. If you suffer from any kind of back pain, an inversion table for under $300 will help relieve that pain, and may provide some additional, premium features for greater comfort and stability. The Teeter EP-560 is an inversion table made from incredibly high-quality materials that provides relief from your back problems. With certification from third parties and extra features that provide more flexibility, this inversion table is extra reliable, making it a great choice for anyone looking for a new way to alleviate their back problems. You can also feel comforted knowing that this inversion table is backed by a 5-year full warranty. Safety certified by third parties. As with all Teeter inversion table products, the Teeter EP-560 is safety certified by a variety of third-party entities. This model is cleared by the FDA as a Class 1 medical device, Health Canada Approved and UL (Underwriter Laboratories) Certified. All of these approvals help the users who purchase this unit feel at ease knowing they’re receiving a reliable product. Extra handholds. 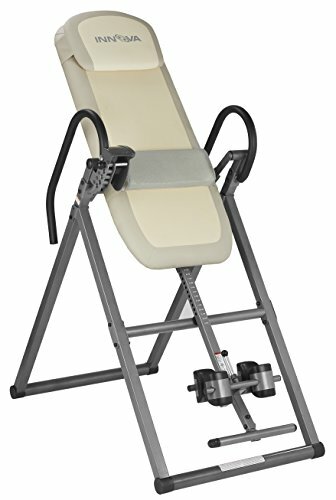 The body of this inversion table offers a variety of helpful and convenient handholds that allow you to easily to twist and stretch and exercise without losing momentum. High quality build. The Teeter EP-560 is built from incredibly high-quality materials, making this a sturdy and extra-reliable option for users of all body shapes and sizes. This high-quality build also features advanced options like cam locks and auto-locking hinges that give you more safety than other tables on the market. Extra-long warranty. This inversion table comes with an extended, 5-year warranty that covers the cost of replacement and shipping if anything were to happen to the unit within that same time frame. This is a much longer warranty than you can expect to find with many inversion tables today. Some users have used this warranty and report that it was an incredibly easy and convenient process. No padding. While the Teeter EP-560 is designed with contours to help you lay more comfortably, it doesn’t provide any padding, which would make it more comfortable overall. 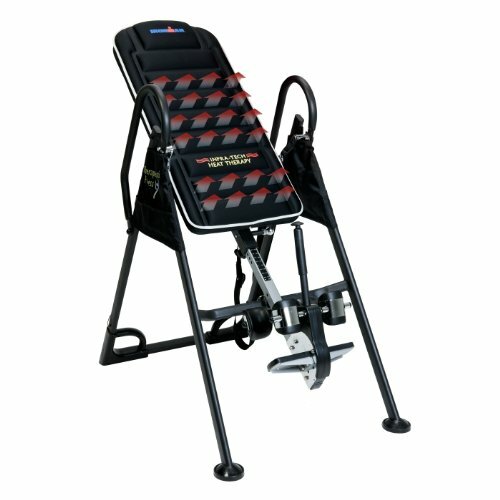 The Ironman iControl 400 is a quality inversion table that offers an advanced disc locking system which is unique to the industry. This disc locking system allows you to lock the inversion table in any way you want without sacrificing safety or comfort. This inversion table also features an extra-sturdy construction with added convenience features like a stretching bar and comfortable backrest. This inversion table is a reliable choice for anyone looking to purchase an inversion table under $300. Unique disc brake system. The Ironman iControl 400 features an incredibly unique disc brake system that allows you to lock the table in any position you want. This is different than many of the other inversion tables on the market, which feature either strap or pin locking systems. This is also an incredibly safe manner of locking the inversion table in place. Extra sturdy construction. This inversion table features a heavy-duty steel frame, measuring in at 1.5 inches of thickness. This heavy-duty construction helps in preventing instability during use. This also adds to the overall life of the model, preventing you from needing to replace the unit often. Included stretching bar. The Ironman iControl 400 inversion table features a handy stretching bar that you can use while inverted. This helpful additional feature can help you achieve more ways of alleviating your back pain. Comfortable backrest. The backrest on this inversion table features a comfortable, soft foam 1.5 inches thick. This soft foam makes the inversion table more comfortable for use, especially if you’re wanting to use the table for extended periods of time. Low weight capacity. 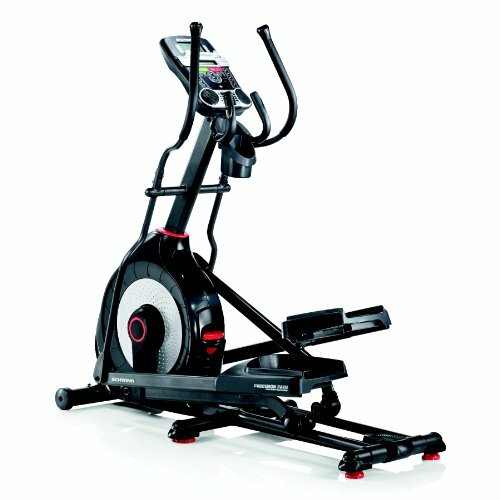 The Ironman iControl 400 can only handle up to 275 pounds of weight capacity, which is lower than most models on the market.